Aloha. Peace. Shalom. Life. Love. 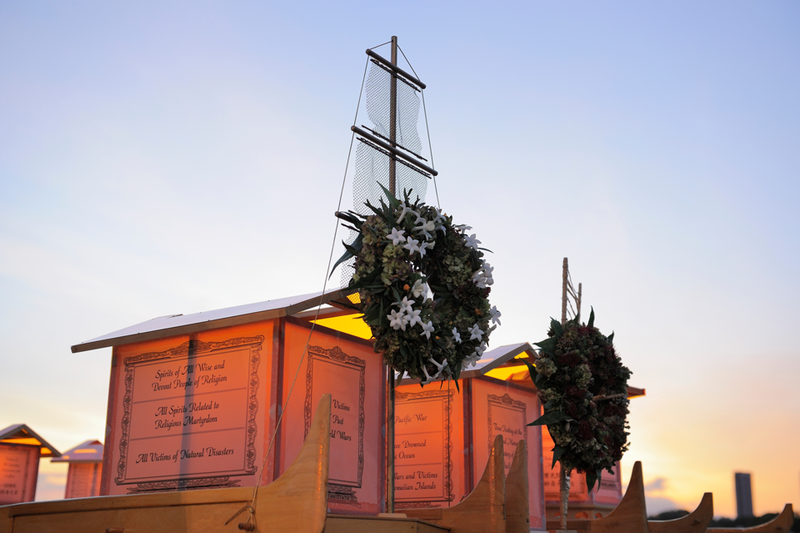 In a single word, these are some of the ways people have described the Lantern Floating Hawaii ceremony that takes place each year in Hawaii. 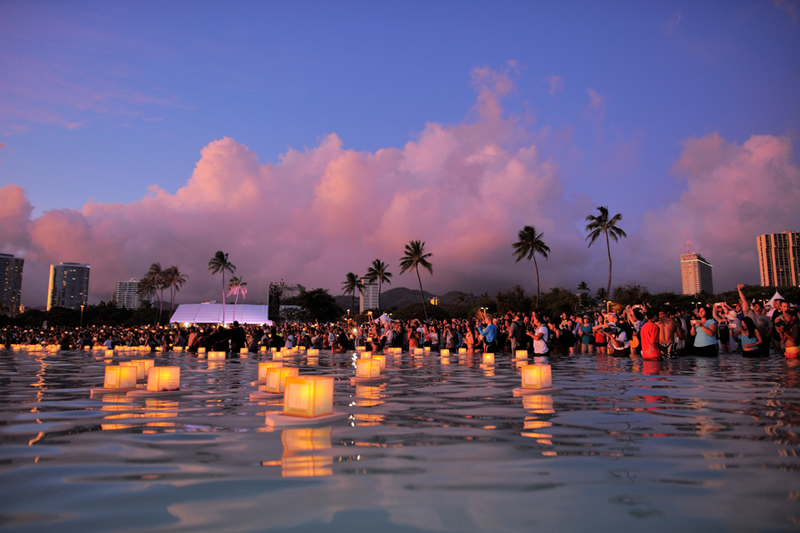 Tens of thousands flock to Ala Moana Beach Park to witness a multi-cultural ceremony that concludes at sunset with the release of some 5,000 glowing lanterns into the ocean—each one bearing messages of love and remembrance in honor of those who have died. Individual vessels of light merge into a sea that sparkles with the emotions it transports. It's a personal moment to reflect and offer gratitude to those who came before us. And it's a collective experience where families, friends and even strangers reach out with love and understanding to support one another. 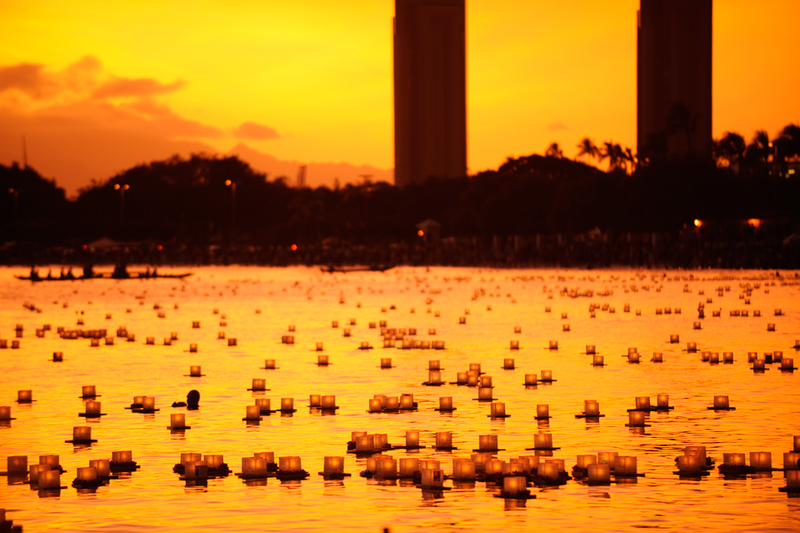 The dual nature of the Lantern Floating Hawaii experience—both personal and universal—aptly describes the philosophy of its organizer, Na Lei Aloha Foundation, the secular arm of the Shinnyo-en Buddhist Order in Hawaii. At its core is a belief that, different as we are, by coming together and getting to know each other, each one of us can cultivate the Buddha nature that is inherent in all of us. Na Lei Aloha Foundation, named by Aunty Malia Craver to mean "many lei of embracement," is quietly, but profoundly, helping to make Hawaii a better place, simply by bringing people together in ways that uncover how much we have in common. 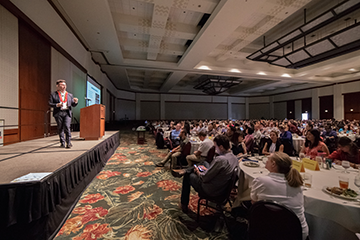 "Recognizing our commonalities can be a starting place for respect and cooperation to grow," says Roy Ho, executive director of Na Lei Aloha, "and the foundation for a more peaceful world." The process of creating harmony in diversity is one that has special resonance in Hawaii. It’s no wonder that the first Shinnyo-en congregation outside of Japan was founded here, and now has 4,000 members. Still, its emphasis is not on religion, but on relationships. 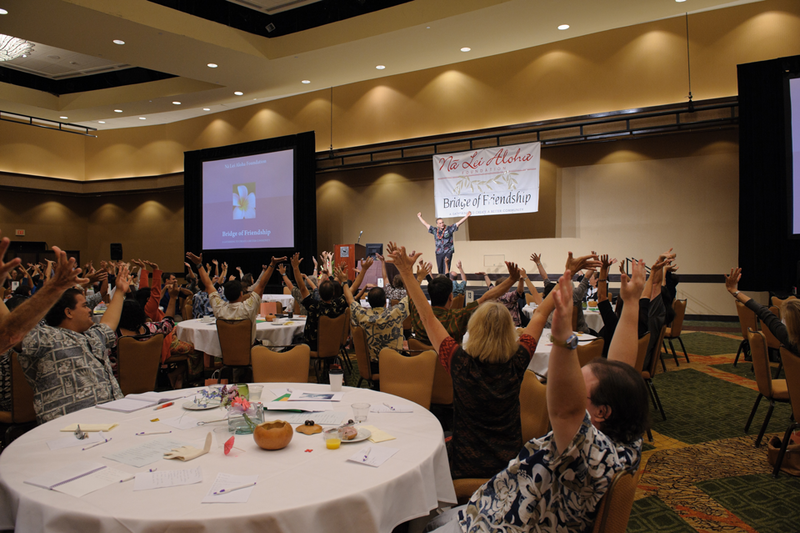 At its Bridge of Friendship gatherings each fall, Na Lei Aloha Foundation invites people who are committed to the community to participate in a half-day event whose primary purpose is to encourage meaningful conversations among participants. Unlike most conferences, nametags do not include an individual's organization and people are seated by which word they are drawn to—whether friendship, knowledge, flexibility, patience, kindness, or courage. The annual theme is revealed only as the event unfolds and the experience yields all kinds of valuable connections, from new friendships to professional partnerships. 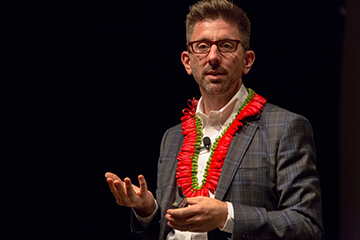 In everything they do, whether hosting unforgettable events or distributing grants to invited organizations, the people of Na Lei Aloha Foundation understand that each act of goodness—however small—can have far-reaching effects. And reminding us that we are all interconnected means that we all share responsibility for creating the world we want to live in... one light at a time.